William & Henry’s Traditional Sweet Shop is the newest confectionery name in retail, with an incredible range of childhood favourites, nostalgic treats and the world’s finest contemporary candy and chocolate. Why shop at William & Henry's? With a name inspired by WHSmith’s own 220 year heritage, William & Henry’s Traditional Sweet Shop opened its doors for the first time in December 2014. 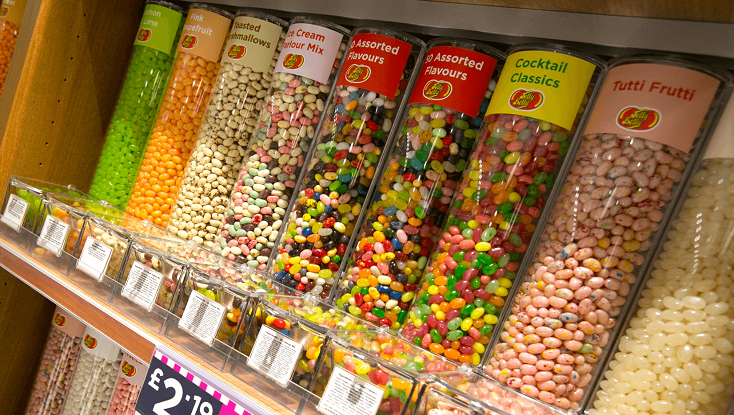 It brings fun and theatre to the world of sweets and will amaze you with the breadth of products available, from imported American delights to British fudge and shortbread, alongside an incredible, mouth-watering array of more than 50 pick and mix varieties. Whether you’re after an inspired gift, an unbelievable indulgence or a chance to evoke wonderful memories, you’ll be able to satisfy your appetite at William & Henry’s Traditional Sweet Shop at Manchester Airport Terminal 1.